Egyptian monuments rival the grandeur of our most modern buildings today and have wowed mankind for centuries. The landmarks have been connected to deities and gods since ancient times and the Great Pyramid of Giza is widely seen as one of mankind's most incredible achievements. These constructions were erected by a civilisation that had no knowledge of the wheel and were technologically limited, compared to modern standards. In Netflix documentary “The Pyramid Code”, researchers and conspiracy theorists question the possibility that the Egyptian pyramids were "built with high technology". 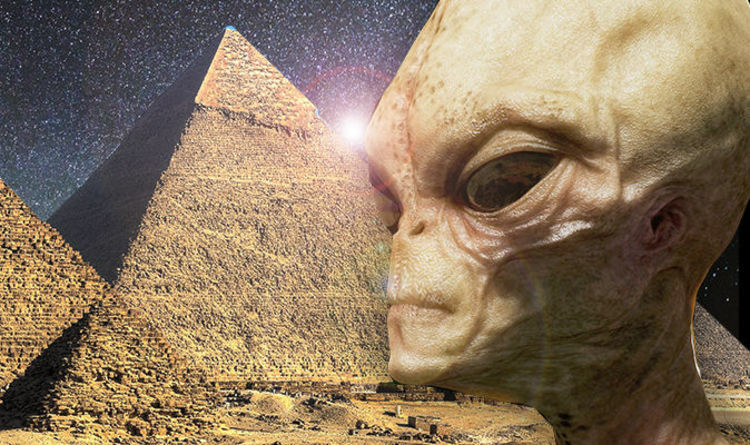 However, the show explains that we are taught to believe that we are the ones with knowledge of high technology, something the ancient Egyptians could not have possibly had. Dr. Carmen Boulter, PHD, claims: “As long as we think that the ancients weren’t able to use high technology, then we're not looking for it. The Great Pyramid of Giza is estimated to have around 2,300,000 stone blocks that weigh from 2 to 30 tons each and there are even some blocks that weigh over 50 tons. The pyramid was composed of 144,000 casing stones and it is believed that all of them were highly polished and flat to an accuracy of 1/100th of an inch, about 100 inches thick and weighing approximately 15 tons each. Evidence of advanced knowledge can be found in the Pyramid of Giza as the centres of the four sides are indented with an extraordinary degree of precision, forming the only eight-sided pyramid.